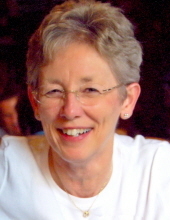 Judith Whitmer, age 72 of Boone, died in her home surrounded by her family on Saturday, February 2, 2019, after a long battle with Lewy Body Dementia. Per Judy’s wishes she has been cremated. A Memorial Service will be Saturday, February 9, 2019, at 1:30 p.m., at the Kingdom Hall of Jehovah’s Witnesses, 1328 Division Street in Boone. Judith “Judy” Ann (Herrick) Whitmer, was born in Marshalltown, Iowa on July 28, 1946, the daughter of Earl and Neva “Lucille” (Ferguson) Herrick. She graduated from Boone High School in 1964. On April 26, 1969, Judy married Larry Whitmer in Boone. Her first job was at the local community college as a secretary. Then she had a variety of jobs before working at the McFarland Clinic in environmental services for over 25 years in Boone and Ames. The most important thing to Judy was being one of Jehovah’s Witnesses. She was baptized on January 13, 1962. She loved sharing her bible-based hope with others. After marriage Judy joined Larry in Storm Lake to assist in the full-time ministry in that area. In 1972, she and Larry volunteered to work in Brooklyn, New York at the Bethel Headquarters of Jehovah’s Witnesses where they helped on the printing of Bibles and Bible Based Products and the support services involved with that. After two years, they moved to Boone to start a family. Larry and Judy set a goal to return to the full-time ministry as soon as possible. After partially retiring in September 2008, Judy was able to fulfill that goal of returning to full-time ministry. Judy and Larry thoroughly enjoyed raising three girls. They took many memorable family trips, and worked on numerous volunteer Kingdom Hall Construction projects as a family. On those projects, Judy made many new friends while flipping pancakes, cracking eggs, and playing cards in between time. She really enjoyed being Grandma to her two grandsons and one granddaughter, who were always able to make her smile. Judy is preceded in death by her father, Earl Herrick. Judy is survived by her mother, Lucille Herrick of Boone; a brother, Doug Herrick and wife, Janice, of Maui, Hawaii; her husband, Larry of Boone; three daughters, Beth Draman and husband, Phillip, of Winterset, Amanda Persinger of Ames, and Amber Rush and husband, Ryan, of Boone and her three grandchildren, Devin, Coltin and Gracie Rush. In memory of Judy, memorials may be directed to the family. To send flowers or a remembrance gift to the family of Judith "Judy" Whitmer, please visit our Tribute Store. "Email Address" would like to share the life celebration of Judith "Judy" Whitmer. Click on the "link" to go to share a favorite memory or leave a condolence message for the family.